The Rebel Sweetheart. 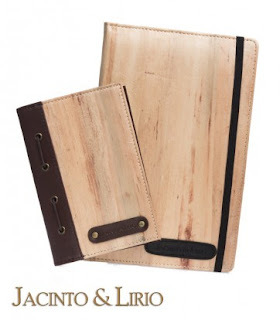 : Green Christmas Giveaway | Win a Jacinto & Lirio Kwaderno! Green Christmas Giveaway | Win a Jacinto & Lirio Kwaderno! Exactly three days from now, The Rebel Sweetheart will be turning ONE. Can you believe it? I've been blogging religiously for one year already! And mainstream at that! Time sure flies when you're having fun. But it wouldn't be this fulfilling had it not been for you, my dear readers, who take time to visit and read this humble little blog of mine. Thank you, from the bottom of my heart! Words wouldn't be enough, of course, so I wanted to give back all the love and support that I have received throughout the year with a series of giveaways, this one being the first. A Kwaderno by Jacinto & Lirio! Kwaderno is a line of stylish refillable journals made from water hyacinth leather (Jacinto and Lirio is Spanish for "Hyacinth and Lily"). Each page is unruled, so you can enjoy filling them with notes, poems, stories, doodles or sketches! For every Kwaderno notebook that you buy, you help empower flood-stricken communities in Pampanga, Rizal, Laguna, and Pasig in the process. The water hyacinth (or water lily) was once a nuisance to villagers for clogging up their waterways. Now, thanks to Jacinto & Lirio, it serves as a beacon of hope for livelihood opportunities and community development. 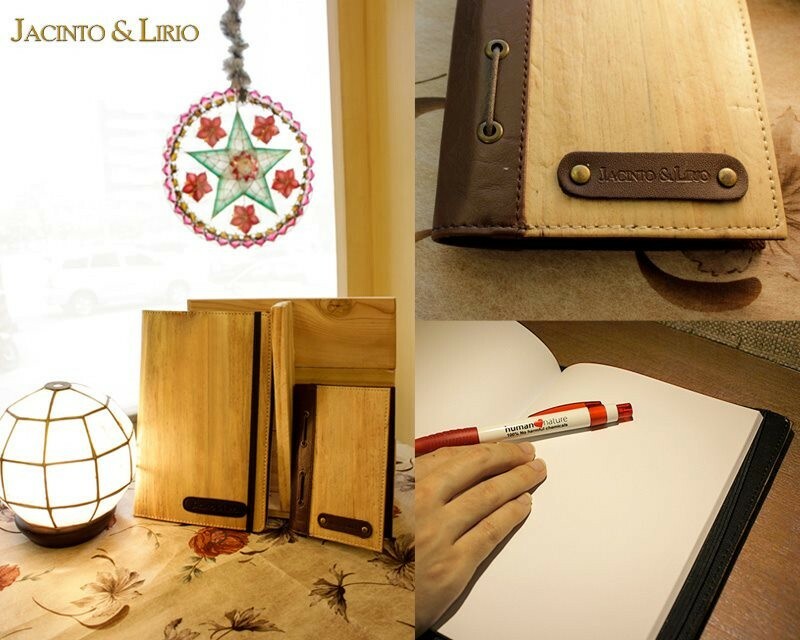 Jacinto & Lirio is a social enterprise that strongly believes in working on your passion to make a difference. It was founded in 2009 by Anne Mariposa and Noreen Bautista with the intention of creating stylish items from the water hyacinth pest while bringing sustainable economic development to stricken communities. Check out the complete Jacinto & Lirio product line here! until my birthday, December 7 (midnight EST). The Green Christmas Giveaway Hop is hosted by Happy Mothering, Going Green with Grizls and The Reynolds Mom. 50+ members of the Green Moms Network have come together to offer you tons of chances to win green-themed Christmas gifts! There’s sure to be something for everyone on your list. We hope you’ll discover some great new brands to add to your Christmas list too! Below my entry form, you'll see the other giveaways to enter as well as information about entering to win the Grand Prize! I love Teodora Yellow bag! Congrats on your anniversary, Czjai! In a year, you've accomplished so much already. More years to come! I am most interested in the Kwaderno Journal Perseverance Design. I love the Kwaderno by Jacinto and Lirio. The Gregoria Hand bag is super cute!